The former governor of Anambra State, Mr. Peter Obi has assumed the epicenter of discussions in the southeast zone since his announcement as running mate to the Peoples Democratic Party (PDP) Presidential flag-bearer, Alhaji Atiku Abubakar. 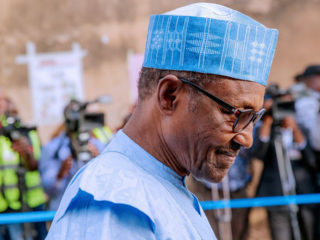 The news, which ended days of speculation over where and who the PDP presidential running mate would be elicited debate that has thrown the zone into parallel lines. While the choice has received commendation in some quarters, in others, especially among the political class, Obi’s choice fell short of expectation, more like an ambush. Leading what seemed like a protest against the choice, the three governors of the Peoples Democratic Party (PDP) had met with the southeast leadership of the party at an emergency session in Enugu on October 13, where they did not only ventilate their anger over the development, they also denied existence of such. “This meeting came on a very short notice. It was yesterday that this meeting was actually announced and circulated and the attendance demonstrates that PDP is southeast and southeast is PDP. Despite the shortness of time, the attendance is very encouraging. “I will simply address this august gathering on the outcome of our long hours meeting at Deputy Senate President’s residence. First, let me say that I congratulate the PDP for conducting transparent and credible convention since the inception of democracy in Nigeria. It is our suggestion that INEC should come and copy, and replicate it in 2019, and then we must have advanced. Despite the number of presidential aspirants, everybody is happy and now working together and this is a rebranded PDP. Although the stakeholders who gathered denied that their meeting was basically to mull support against the choice of Obi, the circumstances under which the meeting was convened clearly indicated that the announcement jolted them.For instance, apart from convening an emergency meeting, Governor Umahi, who also doubles as the chairman of Southeast governors forum had denied the statement issued by his Chief Press Secretary earlier congratulating Obi. He had told the world that his Press Secretary did not get his approval before releasing the statement. Again, the meeting was billed for Enugu Government House. It was gathered that a protest by Enugu governor, that he would not want to be seen as providing facility to sponsor opposition against the choice of Vice Presidential candidate made the leaders move the meeting to the zonal secretariat of the party located on the same street with Ekweremadu’s private residence. Yet, while the officials gathered at the secretariat, those approved to be at the meeting were directed to Ekweremadu’s house where the decision was reached. Austine Umahi, who was mandated to convey the decision of the meeting to the stakeholders who waited from 10.00am till around 6.00pm had a herculean task doing so, as he had barely finished when a good number of those present opposed their position, describing it as “not only selfish but borne to cause bad blood.” Many had wanted to know the Igbo leaders that should be consulted? They wanted to know at what point in the history of the zone has consultation become an issue before anything was done and why Atiku needed to consult everybody in Igboland before picking his running mate? Was the consultation for general interests or to massage the ego of a few? One incontrovertible thing about politicians and their style of politics in Igboland is the penchant for nominating those regarded as their puppets or close family members to offices that accrue to the zone, whether they are competent or not. They do so without consulting anybody. Pointers are being raised regarding how Ebonyi governor nominated his younger brother as Zonal Chairman of the PDP for southeast.The point of discontent was said to emerge when it became clear that Ekweremadu lost the bid. 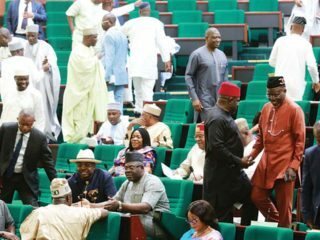 The Deputy Senate President was said to be interested in being vice president, a deal he was said to have struck when he midwifed the party’s reconciliation committee that zoned its Presidency to the north and Vice to the southeast. It was gathered that he believed that his prime position as the highest ranking office holder in the southeast would have given him the position effortlessly, adding that disappointed that he was not nominated, he summoned and hosted the Enugu meeting where they kicked against Obi. One of his aides came close to confirming this and the fury of the Deputy Senate President when he wrote: “Even if Ekweremadu were to be angry as those conjuring up all this thrash want us to believe, is it out of place? Hasn’t he paid his dues as a party man and the highest-ranking office holder from the southeast region in holding the party alive? Hasn’t he paid his dues in the last three years as highest-ranking public office holder in the PDP until recently? Hasn’t he taken the bullets enough for the party? How many leopards does one need to kill before he becomes an Ogbuagu. If he defected after the 2015 elections defeat and emergence as Deputy Senate President, would there have been a strong PDP today for people to return to and vie for presidency? He said there are several issues that required emergency treatment and more “burning” in Igboland but had been neglected on the altar of politics than the emergence of Peter Obi.He said: “I think our governors and whoever called the meeting missed the point. If there is anything that requires emergency, it is the parlous state of infrastructure in the southeast zone. It is the poor road network, it is how to attract international airlines that should ply the Akanu Ibiam International airport, Enugu, to open up business in the zone; it is a visible agenda to absorb the legion of unemployed graduates roaming about the zone; it is working towards the establishment of Consulate in the zone, so as to reduce the risk of travelling to other zones of the country by our people to obtain their travelling permits. “There is a dry port that has been promised us a long time; that project is almost still-born because nothing is happening there. It is about time, they meet and lead a delegation to the Presidency about the state of affairs in the southeast zone and seek assistance. You can imagine the urgency with which that meeting was attended. It shows you that they are acting somebody’s script who is probably unhappy that Obi has been chosen over him. “It is only in the southeast that a gift from someone should be made an issue. We must take advantage of this very one to work closer to producing a president in the next dispensation. Obi should be supported. The choice was sound and well thought out. This is a valuable nomination. He is coming to the table with focus and track record of performance. He has stamina for work and above all, he has been in government and did not soil his hands in corruption,” he said. Also reacting, President Emeritus, Aka Ikenga, Chief Goddy Uwazuruike said: “I have read with disgust the vituperations of the enemies of this country on the choice of Peter Obi as the running mate of the PDP presidential candidate, Atiku Abubakar. The complaints range from non-consultation to why the choice should be from the southeast to the ridiculous protest of non-PDP members. “For the avoidance of doubt, very few people parade the intimidating credentials of Peter Obi. Again, very few people parade the integrity of Peter Obi. Furthermore, very few people parade the commonsense economics of Peter Obi. Finally, very few people parade the ability of Peter Obi to overlook personal aggrandizement in public and private life. “For those who wish this country well, Peter Obi will bring a lot of good to the economic revival of this country. One of the prayers of ordinary man like me is that we allow our first eleven to come to power. The names brandished as possible nominees are first class. Now, only one can be chosen and he has been chosen. “Our job is to ensure that the Peter Obi who performed excellently well in Anambra will repeat the feat at the centre.”Addressing a press conference in Enugu, President of Alaigbo Development Foundation, Prof Uzodinma Nwala, said Ndigbo must rally round Atiku/Obi ticket to deliver the country and reposition the economy of the southeast now at its abysmal level. On why it supports the choice of Obi, ADF said the former governor would not be in a regime that continues to hunt and willfully destroy Igbo businesses and Igbo businessmen.“Mr. Obi is a pragmatic business man and we expect that he will be sensitive to the basic interests of the development of Alaigbo in the interim. 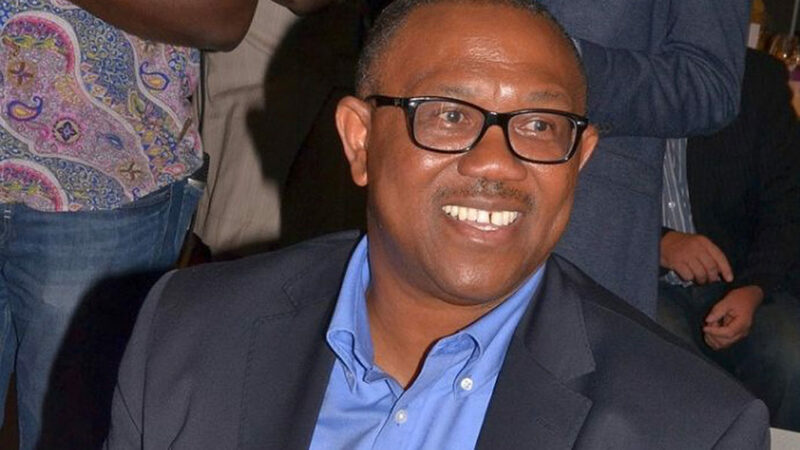 Someone told us that the choice of Peter Obi is premised on his vast experiences in the areas of investment, economic and social development, an area Nigeria is scoring below par at the moment,” he said.